I’ve always admired people who can draw, because I can barely draw a straight line. Well, that’s not entirely true. I spent an entire summer when I was twelve learning how to draw a horse head. See terrible example below. As you can see, I have reason to admire people who can do what I so obviously cannot. My son can draw, as can his father and grandfather. Their family is very artistic, and use most mediums – pencils, watercolor, pastels, paint…you name it, they can make beauty from it. I’m actually kind of jealous. I was cleaning my son’s room this weekend, and came across an art kit that his grandfather got him for Christmas last year, and it got me thinking about all the pretty pictures that I could find on the internet. 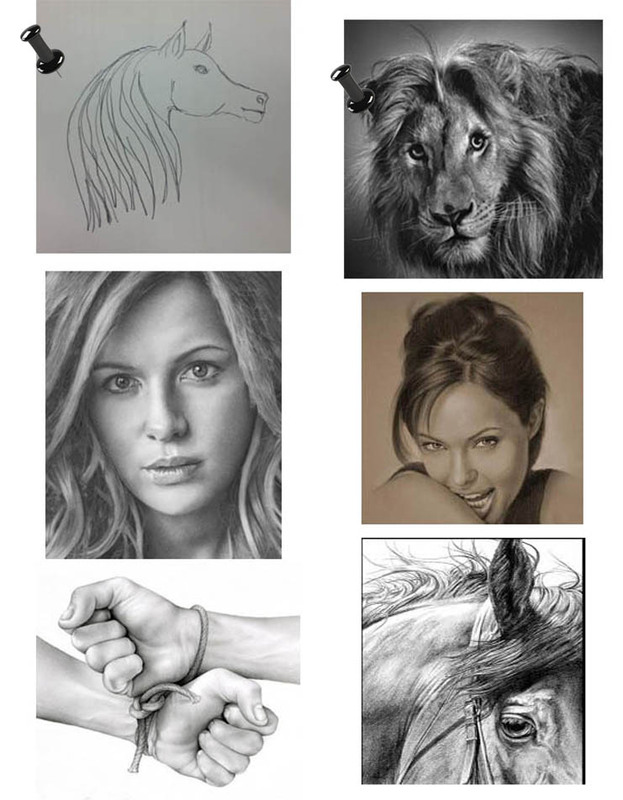 So this morning, being the thoughtful person I am and knowing how much everyone who reads this blog likes artwork, I decided to bring you some beautiful pencil art that I came across on the web. After I subject you to my horse head. Enjoy! Next Post Don’t Run Out!